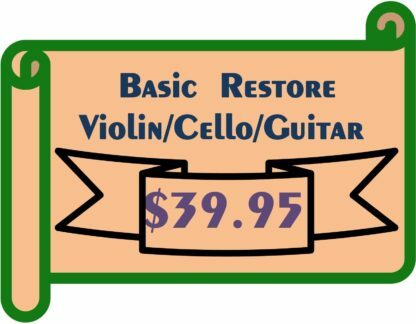 Basic Restoration of Violin/Cello/Guitar - AZG Musical Inc.
View cart “Basic Restoration of Violin/Cello/Guitar” has been added to your cart. 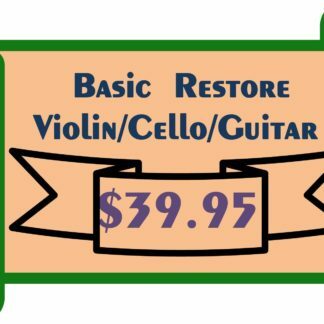 Basic restore inhouse by our Brooklyn Luthier. We will clean your tops and backs as well as basic retouch of damaged areas. Remove built up rosin deposits and polishing up your instrument. 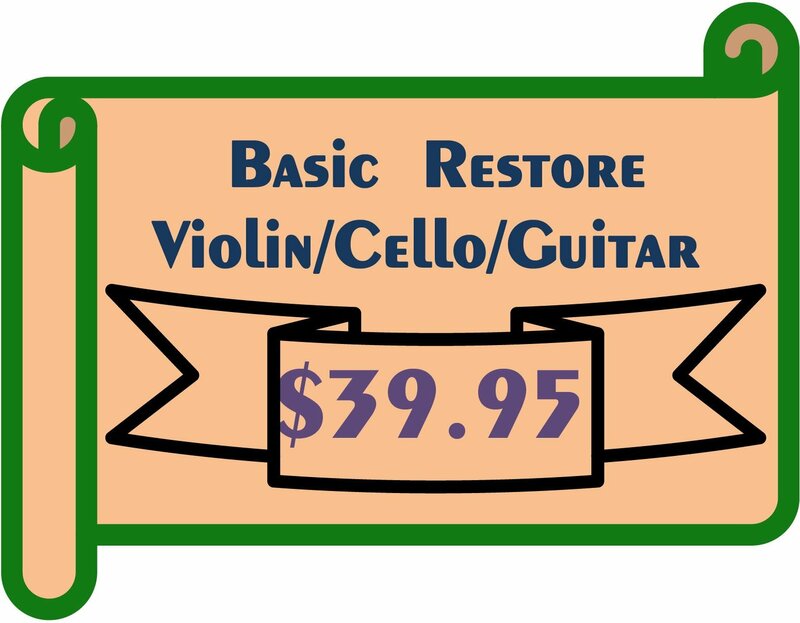 Basic restore of your string instrument inhouse by our expert Luthiers for only $39.95. We will clean your tops and backs as well as basic retouch of damaged areas. Remove built up rosin deposits between the bridge and fingerboard plus polishing up your instrument. Nicks and dents are retouched with color and lacquer.